Varming Consulting Engineers were recently appointed by Galway City Council as Building Services Engineers associated with the Design and Site Monitoring including Building Regulation Certification (BCAR) of Ard Cré Residential Development - Phase 2, Ballymoneen Road, Galway City. Phase 1 of the development of the site is currently under construction and consists of 14 units. 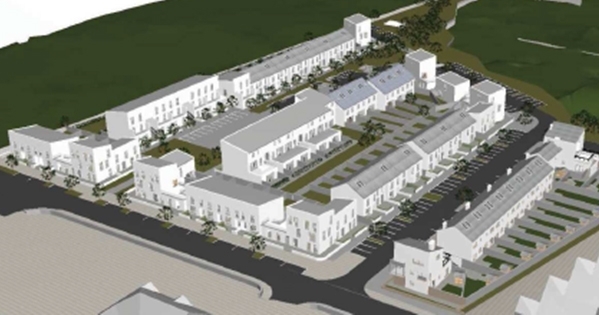 Phase 2 will consist of an additional 75 dwelling units arranged in a combination of two and three storey structures with a mixture of houses, apartments and duplex units and associated site infrastructure / utilities. The dwellings will feature energy efficient systems including gas condensing boilers, demand controlled centralised mechanical extract systems and photovoltaic roof panels. The project compliments our successful experience in the Residential Sector and with Galway City Council.